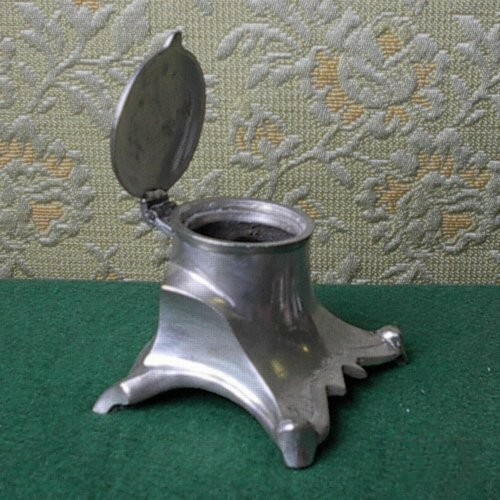 This ink well will make an attractive addition on your antique roll top desk. 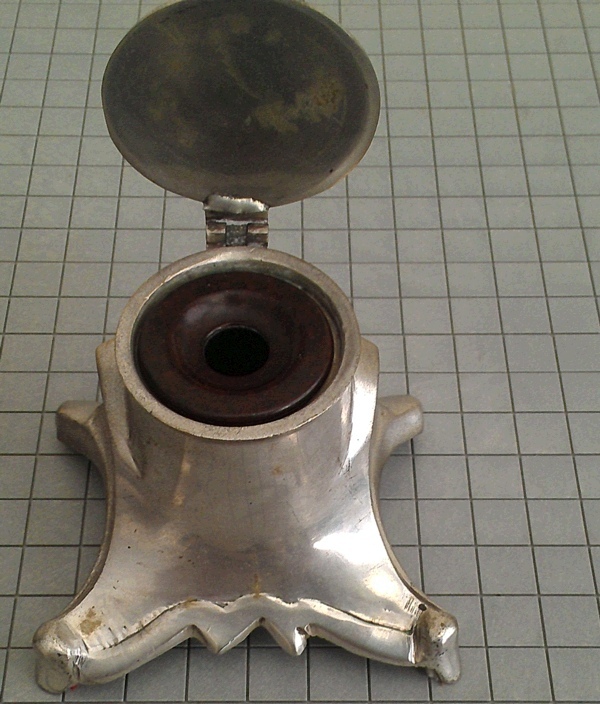 Made of cast metal with a molding seem down the middle that you can ONLY see on the bottom and inside. The exterior looks great. 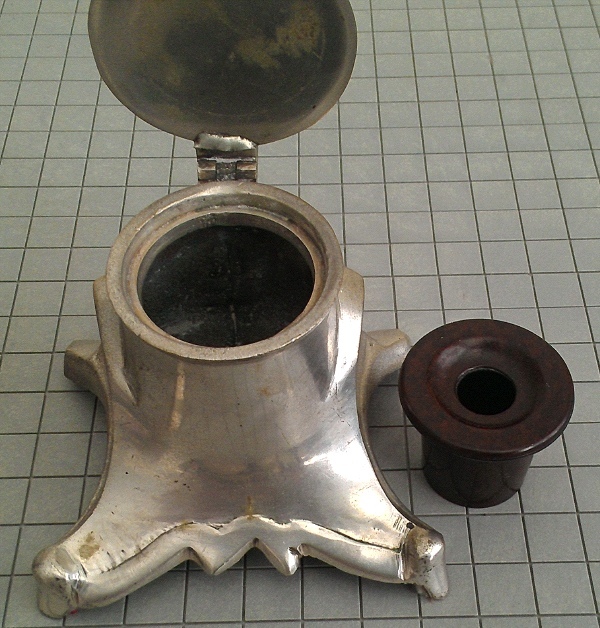 The ink well consists of the outer metal body, plus I found a liner made of bakelite that fits nicely inside. There is a bakelite liner. The liner is now included.